Feeling all smug because you have a passcode on your iPhone? Think no one will ever crack that sly numbering system you came up with, keeping them from ever being able to use your phone, access your contacts or send an e-mail under your name? 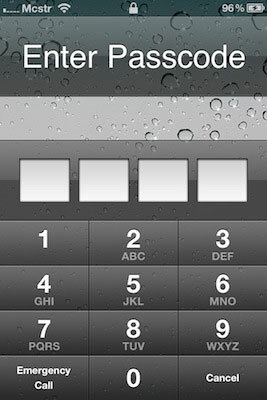 Well, why should they bother when a bug in iOS 4.1 just lets them do all that without entering any code whatsoever? If you’ve done this correctly you’ll be entered into the iPhone’s contact list. From there you can make phone calls, send e-mails and so on. In other words, your most valuable data, the people you know, has just been exposed to anyone who knows the trick. While Apple is sure to quickly squash this bug, it’s an amusing way to pass the time. My only question is, as with any situations such as this, is how in the world someone figured it out. Were you just that bored?